Julie Thomas is CEO of ValueSelling Associates in Rancho Santa Fe, California, USA, a sponsor of the 2014 Stevie® Awards for Sales & Customer Service, the world's top customer service awards and sales awards. ValueSelling has associates around the globe, and recently appointed a new associate in China, so Julie is excited by the customer service awards category in the new Asia-Pacific Stevie Awards. (Get your entry kit for this program here.) Julie recently shared with us some insight on determining the right price of a product or service. The price objection is guaranteed to come up during most sales cycles. In the current economic environment, no one wants to pay more than necessary for any product or service. In addition, buyers are more educated than ever before. Choices are plentiful. No one wants to overpay or be taken advantage of. With that said, we don’t need to lower prices to win the business … nor do we need to be afraid of discussing the cost of the products or services we sell. Price objections are raised because the salesperson hasn’t yet demonstrated enough value for the prospect to feel comfortable in making a purchase. Price and value are vastly different concepts, however. Price is what is paid for an item at a given time. It’s a short-term conversation. Value is an investment made in exchange for future benefits. Value is a long-term concept. Does your product or service convey value? -What makes your company valuable to a customer? -What is your unique selling proposition? -Why should the prospect care? Often a prospect gets the same pitch from both you and your competitors. Whether it’s great service, 24-hour availability, leading-edge technology, or more than 500 happy clients, they’ve heard it all. The truth is that it doesn’t matter what you think is valuable. What matters is what the customer perceives is valuable. Once you identify what is valuable to your customer, it will be much easier to lead the prospect toward a buying decision. Most sales professionals don’t spend nearly enough time to uncover the real value they offer the prospect. Still others don’t know how to articulate the value in a way that presses the customer’s emotional hot buttons. -What do they like about your product or service? -How does it make their life easier? -How could your product or service be improved? -How do they use your product or service? -What causes them to use your product or service? -How does it impact their customers? This gives you a ripe opportunity to listen and be open to what the customer has to say. Even if the comments are less than positive, sometimes the mere fact that you’re listening helps to create a bond with the customer that is long lasting. Believe it or not, some companies don’t even use their own products or services! First-hand experience gives you true empathy for the customer. You wouldn’t buy a car without reading the reviews, visiting various car dealerships, or taking a few for a test drive, would you? Often your product or service requires a much larger investment. So don’t just rely on information from marketing materials to fuel your sales presentations. Shop around, “test drive” the other products and services, and do a side-by-side comparison with the competition. By being your own customer, you’ll quickly discover what’s so great about your product or service, and you’ll be able to articulate the value proposition more effectively. Given that customers are faced with a vast array of decisions, opportunities, and alternatives all competing for limited funds, value matters more than ever before. Your job throughout the sales cycle is to determine the customer’s motivation for buying your product or service, and then articulate that value in such a compelling way that the customer feels comfortable making the decision to buy from you. -Is the price worth the investment? -Is the risk worth the reward? -Is the effort worth the impact? Make the effort to gain the customer perspective, passionately articulate your value, and then deliver value over and over again. Doing so will help you reduce the perceived risk, increase the positive impact you deliver, and speed the sales cycle. For more information and insights on sales and selling, visit the Value Selling Blog. 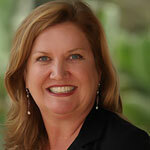 Julie Thomas, President and CEO of ValueSelling Associates, is a noted speaker, author, and consultant. In a career spanning more than 24 years, she credits her mastery of the ValueSelling Framework® for her own meteoric rise through the ranks of sales, sales management, and corporate leadership positions. Julie began her career at Gartner Group. In 1999, she became Vice President of Gartner’s Sales Training for the Americas, which included successfully managing the training of new hires in the ValueSelling process. In 2003, Julie acquired ValueSelling Associates with the support of ValueSelling CEO and co-founder Lloyd Sappington. Since then, Julie has led the company to become an industry leader in competency- and process-based training for escalating sales performance. Julie is a sought-after speaker at industry events such as the Selling Power Sales Leadership Conferences. She is a guest lecturer at both Babson University and the University of Michigan. In addition, Julie is on the advisory board of the eWomenNetwork Foundation Advisory Council and is heavily involved in her local public schools as well as the San Diego Children’s Hospital Auxiliary. She earned her Bachelor of Science degree in Business Administration from the Leeds School of Business at the University of Colorado, Boulder. ValueSelling Associates, based in Rancho Santa Fe, Calif., is the creator of the ValueSelling Framework®, the sales methodology preferred by sales executives around the globe. Since 1991, ValueSelling Associates has helped FORTUNE 1000 business-to-business sales organizations compete and win in markets crowded with seemingly similar products and services. ValueSelling Associates has maintained its position as a leader in the industry by continually evolving to meet the new challenges sales forces face. Clients turn to the experts at ValueSelling Associates for classroom training, online training, and consulting services that yield immediate impact, repeatable strategies, and sustainable results. For more information, visit www.valueselling.com. Mike Ortegon, Director of Global Sales Operations at HomeAway, a Stevie® Award-winning online marketplace of vacation rentals based in Austin, Texas, will Chair the Final Judging Committee for the Customer Service and Contact Center Team categories of the 2014 Stevie® Awards for Sales & Customer Services, the world's premier sales awards and customer service awards. The results will be announced on February 21 at the gala awards banquet in Las Vegas. We talked to Mike about the challenges facing today’s sales teams. HomeAway won a Gold Stevie® for Sales Operations Team of the Year in The 2013 Stevie® Awards for Sales & Customer Service. As Chair of one of this year’s Final Judging Committees, he is fully aware of the benefits of being a winner. Mike Ortegon joined HomeAway in March 2012 and is the Director of Global Sales Operations. In this role he is responsible for supporting sales leaders across the globe with tools, training, and sales insights to help make well-informed business decisions; and to run effective and efficient teams while aligning to corporate strategy. Previously, Mike worked for Harte-Hanks as Global Account Director focusing on multichannel, data-driven solutions for Fortune 100 companies. Throughout his career, Mike has been in management, operational, and sales and marketing roles in North America, EMEA, Latin America, and APAC. HomeAway is the world’s leading online marketplace of vacation rentals, with sites representing more than 773,000 paid listings of vacation rental homes in 171 countries. Through HomeAway, owners and property managers offer an extensive selection of vacation homes that provide travelers with memorable experiences and benefits, including more room to relax and added privacy, for less than the cost of traditional hotel accommodations. The company also makes it easy for vacation rental owners and property managers to advertise their properties and manage bookings online.